Abraham Lincoln was a fascinating man who changed the course of America’s history. Most of us know his basic story, but here are some fabulous facts you may not know. 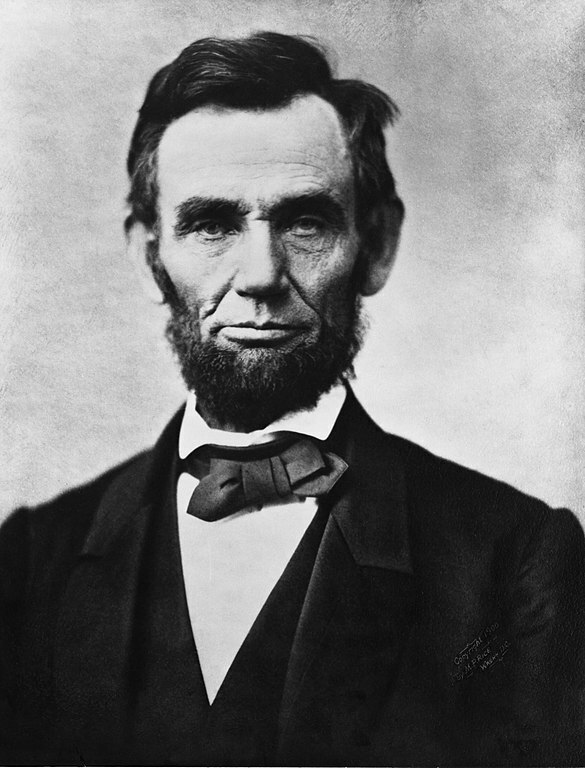 . .
Abraham Lincoln, the sixteenth President of the United States. This image is available from the United States Library of Congress’s Prints and Photographs division under the digital ID cph.3a53289. This work is in the public domain in the United States. Credit – Alexander Gardner [Public domain], via Wikimedia Commons. Lincoln loved animals and refused to hunt. He had lots of pets, even a turkey! He stored things in his stovepipe hat, like letters and important papers. His wife’s family didn’t approve of him when they got married. They may have eaten humble pie when he was elected as president. He was our tallest president. On average, men were 5’6″ in his day, but he was 6’4″! He had really long legs. When he was sitting he looked the same height as everyone else. He HATED going to the dentist. Can you blame him? He was the first president to have a beard. 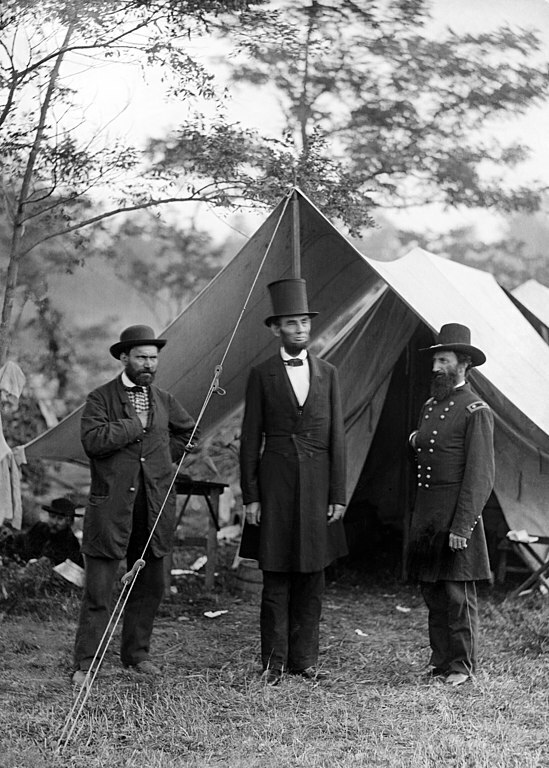 Allan Pinkerton, President Abraham Lincoln, and Major General John A. McClernand. This photo and another very similar to it were taken not long after the Civil War’s first battle on northern soil in Antietam, Maryland on October 3, 1862. In his role as head of Union Intelligence Services during the war, Pinkerton foiled an assassination attempt against Lincoln. His wartime work was critical in raising Pinkerton’s profile and helping to bolster the reputation of his Pinkerton National Detective Agency, which pioneered the American private detective industry. This image is available from the United States Library of Congress’s Prints and Photographs division under the digital ID cwpb.04326. This image is in the public domain because its copyright has expired. Here is a printable Lincoln’s Stovepipe Hat Timeline that includes the major events in Abraham Lincoln’s life, built on his famous stovepipe hat. Click on the picture to get the printable timeline. Print out the pages. Color the hat black, cut it out, then mount it on a colored sheet of cardstock. Cut apart the pieces of the timeline and then glue them on in order on to the hat. Your lincoln hat link is broken. Thanks Cathy! We’ve got it fixed.